A year after receiving $500,000 from the Arctic Inspiration Prize, work on conflict resolution is moving fast within the Carcross/Tagish First Nation. As the Arctic Inspiration Prize gala gets underway in Whitehorse on Tuesday, people an hours' drive away in Carcross, Yukon, are still building from a prize handed out last year. Yukon's "Our Families, Our Way" uses peacemaking circles to address conflict and trauma. The venture was among the winners of the Arctic Inspiration Prize in 2018. It was granted $500,000. Beverly Sembsmoen, implementation manager for the Carcross/Tagish First Nation, says about 100 people have been trained so far, meaning nearly one-third of the citizenship. She sees peacemaking circles as a chance to transform the First Nation. "There's a number of issues that can be dealt with in a good way without destroying our community," she said. "Carcross, like all other Yukon communities, has issues. Many of them have been shoved underneath the carpet for decades. Many of them are very multigenerational." Beverly Sembsmoen, implementation manager for the Carcross/Tagish First Nation, hopes the training will have a transformative effect in reducing lateral violence. Peacemaking circles were historically used by the Carcross/Tagish First Nation, however the practice was suppressed by the imposition of the residential school system and the Canadian legal system. Circles can deal with issues like marriage dissolution, family reconstruction and justice. While the structure is not a court, there has already been some support from courts and the RCMP, which are beginning to accept them as a part of justice diversion. The Canadian criminal justice system represents 'values ethics and principles imposed upon us from another culture,' says support worker Willie Smarch of the Carcross/Tagish First Nation. Willie Smarch, a support worker within the circles, said they are accessible in cases where an offender pleads guilty. The system can provide offenders with a chance to make amends without removing them from the community. "In the conventional [Canadian legal] system they single out the individual," he said. "They put the problem on that person — put them in prison. And in so doing the conventional system takes the person and the problem out of our community. Our peacemaking circles are about saying, 'No. No more.' We want to work with our problems, our issues like trauma." 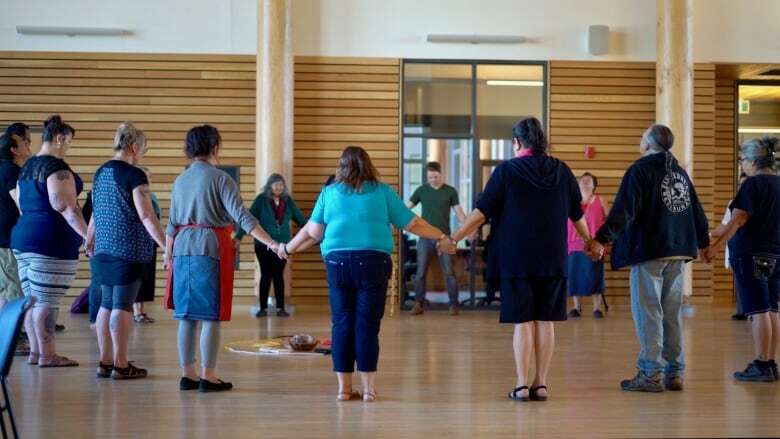 Training in peacemaking circles has been offered at the Carcross Learning Centre since May 2017 and the goal is to provide training to all employees of the Carcross/Tagish First Nation and other members of the community. The 2018 Arctic Inspiration Prize ceremony takes place Tuesday night in Whitehorse at the Yukon Arts Centre.